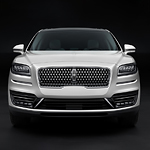 The new Lincoln MKX is a beautifully designed crossover. It's available with many luxurious features that can enhance your drive. You can get the crossover at Sutton Lincoln with sophisticated interior lighting and an expansive Vista Roof. The ambient lighting package is perfect for night driving through Matteson, IL. LED lights are discreetly hidden throughout the cabin. You can find lights in the center console, cup holders, door wells, and more. When the lights are on, they produce a soothing glow that's subtle and not distracting. Impressive power and superb performance are a given in any Lincoln vehicle. The manufacturers have taken things up a notch in the new Lincoln Nautilus. You can get the new luxury crossover at Sutton Lincoln. It has a peppy engine that delivers an exciting driving experience. The new Lincoln MKZ is a popular midsize luxury sedan packed with incredible technology features. Parking is going to be so much easier in the Lincoln MKZ thanks to the Enhanced Active Park Assist. 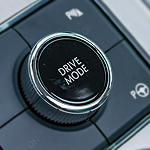 Activate the feature when you are looking for a parking space, the system finds a spot, then you work the gas and brake and the vehicle is able to glide into the spot without you having to do anything else. If your engine isn't getting enough fuel, your vehicle might stall. It's a pretty simple concept, and it might be your fuel pump that's to blame. Your fuel pump, quite simply put, supplies the engine with the fuel it needs to power your vehicle, and if you want to know how you'll know that something with it is wrong, keep reading. All of the features that come with the Lincoln Navigator make the car worth it. One of the main features is the ability to tow large objects. This vehicle can tow almost 10,000 pounds and still retain high speeds. This vehicle also comes with four-wheel drive, so it is perfect for people who live in areas where bad weather is common. Are you in the market for a new luxury car? Take a closer look at the new Lincoln Continental before you make that buying decision. The all-new Lincoln Continental will make driving at night safer with the adaptive HID headlamps. These aren't your standard lights, these lights move with the car as it takes turns to increase your field of vision. When driving at slow speed, the beam widens to help improve visibility in any weather conditions. You have probably seen vehicles listed with both powertrain warranties and bumper-to-bumper warranties. What do they mean and what is covered under them? We explain below. Performance isn't always the first thing you associate with a hybrid, but the 2018 Lincoln MKZ takes hybrid performance up a notch. With a turbocharged engine, adaptive suspension, and smart cruise control, the Lincoln MKZ will impress you when you get behind the wheel. Motor oil is an important component of your vehicle. Without motor oil, your car’s engine would be damaged, or your vehicle wouldn’t run. 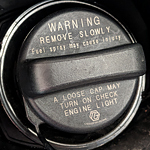 There are many motor oil myths that have been around for many years. If you’re a driver with concerns about motor oil and oil changes, stop at Sutton Lincoln and speak with our professionals. Here are some common motor oil myths. • Oil should be changed every 3,000 miles. • The filter doesn’t need to be changed every oil change. • If oil is black, it means it needs to be changed. What Does an Infotainment System Do? 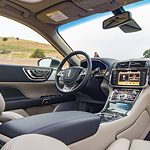 Infotainment systems allow drivers to control everything from their driver’s seat nowadays. You can simply speak commands to your car to start a phone call, go to a radio station, or access driver menus. It’s also incredibly helpful for visualizing the road if you have GPS navigation software. Most infotainment systems now come standard with your vehicle. However, they used to be advanced technology that was only available in premium trims. With the requirement of backup cameras now in place, every car has some kind of infotainment system.